I admit I spent lot of time searching this so I am documenting as blog. Check the latest version of plugins used in pom. For quick hint about faulty plugin see the link below. Bigdata is playing vital role in all the industry verticals now. Telecom companies are using it to provide better Service to customers by monitoring networks , better network operations. Transport verticals are trying to optimize and predict accurately the arrival times of airlines to improving baggage handling. Financial industry has been using it to predict better fraud analysis and many more things. Health Industry are using it to do better patient care , quick medicine research. And then in end i will present the technical solution to connect all of these dots based on technologies available in BigData. As a viewer today i have lots and lots of choices to spend my leisure time , with Facebook , online music , Youtube , movies , radio you name it. I have so many choices to workout from. And if i don’t like something which is shown , streamed now to me i will switch to next available option on same entertainment channel if i have control over whats being shown ( e.g Youtube ) i can change the current video. However if i dont have control over whats being shown now i will just switch over the channel ( e.g TV Channel) , If you are showing something which i dont like i will just press the next remote button and bang. I don’t want to spend all time time just pressing next next buttons on remote sitting next to TV , i have very less entertainment time which i want to spend enjoying watching something rather then just clicking next. So try to understand my entertainment needs. I have already presented so much data about me , my preferences in my twitter hash tags (e.g #QandA) , facebook posts about you about your content . You cannot still understand me ? My TV is streaming via Internet you cannot show dynamic content based on info you already know about me ? And those ads ...Really ? I don’t want that you present to me ads which are totally irrelevant to my current location , mood , habits , conditions. For example What will i do with Ad on radio for Pizza shop 1000 miles away from me? Why cannot you show content relevant to me in my locality , current time. Oh yes this is for online news papers , do you think i will pay for viewing your website in this free world ? Often i wonder why some papers think that's only way for them to earn money. They have failed to connect with local community , the most important revenue stream for print media should be inner zeal in people to buy them. Stay relevant to local community where you are publishing and yet be global. Invite people to connect with you via Opinions , letters and create a vicious circle of attachment with them. Now use that data to produce relevant content for online platform , this will help you to be relevant and monetize your online website. Remember your sole purpose of existence is Humans not Google bot. You have to make such a platform which produce content to which i connect to which i take pleasure interacting and talking to you. Content which is changing based on my location , my interests. And don’t tell me you don’t have this data of mine with you. You already know everything. See how platforms like Reddit are earning , can you see something there ? Reddit has nothing of own , yet they attract people and make money. 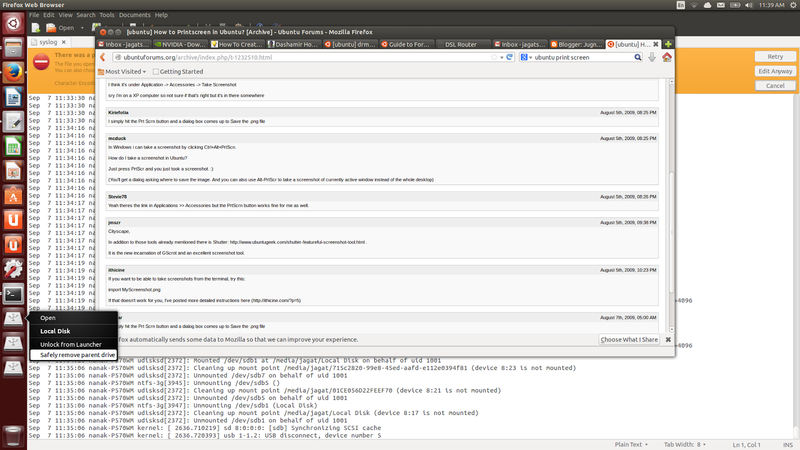 I got this error while using Virtual box on Ubuntu. Now there are many virtual machines which run on top of this host machine. I want these virtual machines to install from already downloaded packages by the host machine and skip going to the internet first to save my time. I want to share only which I need and I want to download only once in my host machine. This creates a proxy that packages are downloaded only once and all machines can quickly download from it. Till now i have not found solution and problem. 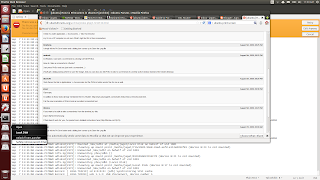 I am grouping my syslogs messages at hang time in different posts here on blog and corresponding steps in took. Read on net about what is GPE storm , it can be a hardware issue. One of the solution suggested here was to add boot parameter which can tell apci that this is linux machine. Last error i had on 13 Sept 2013 when i changed this setting. You can increase the momory allocated for eclipse here. You can change depending on your system need. I downloaded eclipse on Ubuntu 13.10 and when i open eclipse you know that for all applications ubuntu show menu at top bar. Eclipse was also not exception. However strange thing was i could not do anything with those links. Where the path on right side is exact path where your eclipse is sitting. This should bring menus back in eclipse like normal OS and it would work.